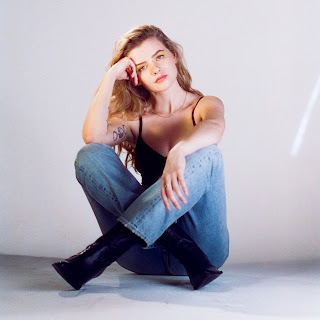 Having spoken highly of her music on a number of occasions, along with sharing a good few of her songs, it's a pleasure to feature Rosie Carney once again, this time with the brand new album 'Bare'. Coco Bans mixture of synths, rhythmic guitar and gorgeous vocals works beautifully as this addictive song demonstrates. Twain's inviting voice and carefully matched musical backdrop ensures everything stands out with refined clarity, the piano adding even more. Our last inclusion today are Freedom Fry who have a three song E.P with plenty of variety and a whole load of hooks to enjoy. Rosie Carney - Bare (Album). Building on over 30 million Spotify streams and 1.8 million monthly Spotify listeners, breakout singer-songwriter Rosie Carney’s long-awaited, deeply personal debut album Bare is out now via Akira Records. In support of the release, Carney will embark on a 26-date tour of the U.K and Europe with Benjamin Francis Leftwich. Coco Bans - Fighting Feathers. From Iowa to France, the voice of Coco Bans weaves around the globe with pop anthems and intimate hybrid folk songs – the effects of which stay with you long after listening. The American singer-songwriter, having already collaborated with some of the biggest and most promising artists (Lil Wayne, Julian Perretta, Fakear, Kiddy Smile, Jabberwocky), stormed onto the scene in October 2018 with debut single “Make It Up” and a packed MaMA Festival show in Paris. Coco Bans’ debut EP ‘Fantasy & Parables’ will be released on February 28th, 2019. A collection of songs that explores the internal worlds we cultivate and the stories we tell ourselves to survive. A narrative of 6-parts, ‘Fantasy & Parables’ documents struggle, determination and triumph over a magical folk-gospel landscape. With support from Rolling Stone and Pop & Shotamong others, Coco Bans is set to be one of the key breakout artists of 2019. ‘Fighting Feathers’ opens with airy vocals and synths which create a dreamy sonic landscape, accompanied only by snappy lead guitar which gives the track percussive momentum from the outset. The verse instrumental stays restrained, making room for a lead vocal that commands the listener’s attention. Coco Bans lures you into a magical trance before a distorted bass kicks into add punch to a musically inventive outro that builds to a soaring height and fades out slowly, practically demanding you to press repeat. Twain - Death (or S.F.?). Twain's highly anticipated double EP is out now on Keeled Scales. Titled 2 E.P.s, the 13-track collection represents two distinct moments in the artist's recording history. Side A is New Miami Sound, unreleased material from the Rare Feeling album sessions. Side B is Alternator, an intimate recording of Davidson performing a selection of his songs in a van; it is the first fully solo Twain music to be released on vinyl. Since its announcement, 2 E.P.s has garnered fervent attention from tastemakers including NPR, Brooklyn Vegan, Hype Machine and more. 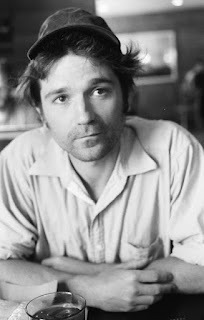 Twain will tour this spring, first with critically acclaimed label-mate Buck Meek then with art pop legends Rubblebucket. Freedom Fry - The Seasons EP. 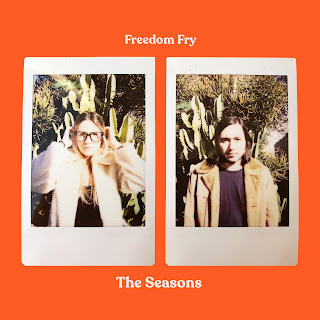 Freedom Fry have just released their first of the year - The Seasons EP. The title track might be their most “radio-friendly” song to date, whilst “A Beautiful Day” is another original to set the year off and “Hey Moon” is a beautiful cover of Molly Nilsson’s original. 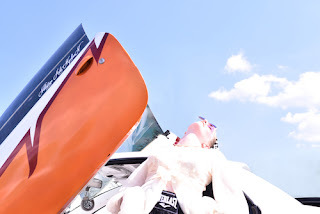 "The Seasons" is about how people's moods are more up in the Summer and down in the Winter. It's also about time passing and watching the seasons of your life go by. We wanted to write something upbeat with a strong bass-line. The verses are dark like Winter and the choruses are feel-good and bright like Summer.